Almost sixteen (16) years after I first visited the laid back Camotes group of islands in Cebu, Philippines, I was back on it to do the very same thing that brought me there almost two (2) decades ago: to facilitate a training program for a group of people belonging to an organization. In 2001, we stayed at a small resort at the vicinity of Pacijan island's White Beach at Santiago Bay in the town of San Francisco. Back then, we seldom saw tourists in the place. The place we stayed in looked more like a home stay place more than anything else. Fast forward more than one and a half decade later, open air restaurants line the shore, a major resort sits atop a rocky cliff nearby, and several lodging places dot the area. I was hired by NPax Cebu Corporation to facilitate their team building event in Camotes Island near the end of February 2016. They finally settled to do this in Camotes after several postponements. The original plan was to hold it in Malapascua Island in the first weekend of February. That didn't push through. Plan B was to do it at San Remigio in the middle of February. This did not push through as well. Camotes was Plan C and it finally happened. The dates of the training were from 28 to 29 February 2016. NPax Cebu Corporation is a software development corporation that is a subsidiary of Ng Khai Corporation. We were to meet up at Jollibee A.S. Fortuna branch in Mandaue City at 3:30 a.m. of 28 February. I was at the rendezvous spot thirty (30) minutes ahead of schedule. As Filipino time would again be showcased, complete assembly was only achieved at a few minutes past 4 a.m. From the highway in Mandaue City, we rode a jeepney bound for Danao City (route number 27) and disembarked at the Danao City Port right in front of the Santo Tomas de Villanueva Parish Church. My co-facilitator Leslie Manoriña was already waiting for us at the port when we got there. Our tickets for the ferry was purchased a day ahead of our scheduled departure. This was to avoid long queues and to make sure that we will not miss the earliest boat trip. Weekend trips to the island can be packed and that was evident when we got to the ship. It looked like it was filled beyond its passenger capacity as many of the passengers did not have seats and had to endure standing for the entire 2-hour trip. Ticket scalpers are known to be rampant at the Danao City Port and I have heard stories of friends having to pay double the ticket prices. The roll-on/ roll-off barge of Jomalia Shipping Lines left Danao City Port at around 5:45 a.m., fifteen (15) minutes later than scheduled. An hour into the trip, we saw some dolphins playing in the wild. The trip lasted for two (2) hours and we docked at Consuelo Port in San Francisco town at 7:45 a.m. Both the Danao City Port and the Consuelo Port are part of the Strong Republic Nautical Highway that connects the islands through roll-on/ roll-off ferry services. As we exited the port, multicab jeepneys and habal habal motorcycles were approaching passengers to offer them rides. We hopped on a multicab that will take us to Santiago Bay Garden Resort, near the very same place that I did my first training as a full-pledged senior facilitator of the Facilitators' Circle Inc. The ride from Consuelo Port to the Santiago Bay Garden Resort took less than fifteen (15) minutes. Upon arrival, we were told no rooms were available yet as check out time was still at 12 noon. So we had to settle with getting just a few rooms and putting all our things there. The team building activities will start in the afternoon yet, so we had time to check out the place and do some last minute preparations for the event. But of course, the first order of the day was to have breakfast at the resort's own restaurant. It was well done sunny side up eggs, longganiza, and corned beef for breakfast. For the drink, it was either Milo or instant coffee. In between breakfast and lunch, we checked out the resort and did last minute preparations. After completing preparations for the afternoon's activities, lunch was also at the same place where we ate breakfast. Beef steak and fried chicken were the main entrees and soda was served as beverage. We settled into our rooms shortly after lunch. I was assigned to a family de luxe room along with three (3) others. It was a spacious room. Nothing fancy but good enough to retire to at night. 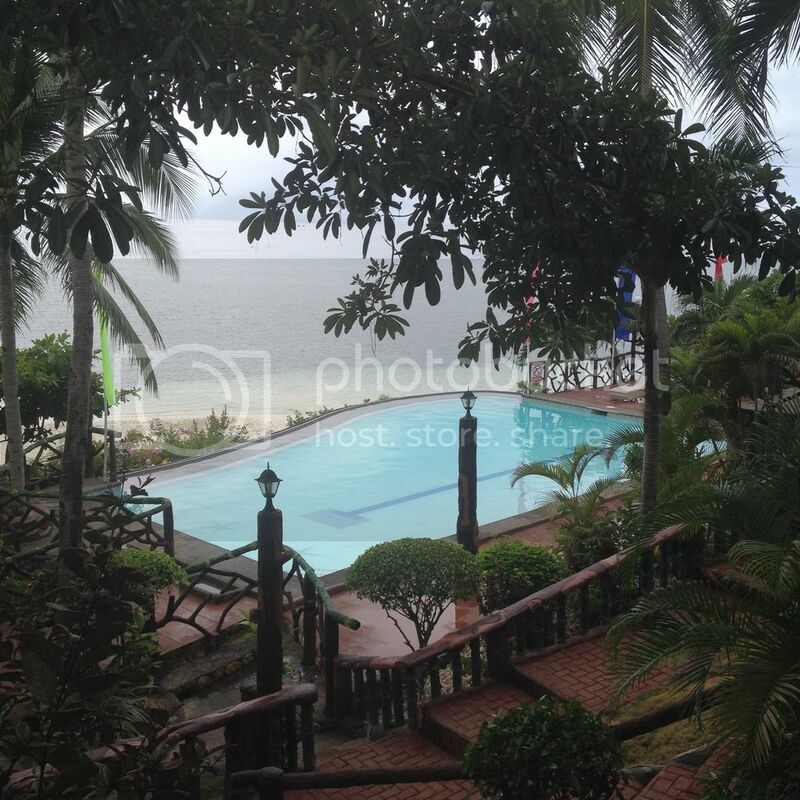 Click here to read more about Santiago Bay Garden Resort in San Francisco, Cebu, Philippines. The first part of the team building event was done at a function hall near the rooms where we are billeted. A total of twenty five (25) employees from NPax Cebu Corporation attended the training. They were led by their vice president, Mr. Jimmy Flores. The program started with the usual getting to know activities and leveling off of expectations. Focus was on the development of self in the first part of the training. The afternoon session also had activities for developing a better system, improving the culture of communication, and a critical thinking activity that encouraged participants to challenge their limitations. It was 6 p.m. when the afternoon's session was wrapped up. Dinner on the night of 28 February was at Pito's Sutukil right on Santiago Bay's famous White Beach. We consumed several orders of pancit bihon, sinuglaw, roasted pork belly, pork sisig, shrimps, and fried fish fingers. It was a delicious meal consisting mostly of seafood. This was some place I can recommend to friends and blog readers. I took a short nap after dinner and joined the program participants for some drinks under the stars. Some enjoyed the swimming pool as a musician played some 80's music at the restaurant. We slept at around midnight. We also had our lunch at Pito's Sutukil on 29 February. We again had a meal with mostly seafood dishes. I particularly loved the sizzling squid and the fried tangigue fish. I did not even bother having the tinolang manok. The morning after, we had the same breakfast from the day before and at the same place. Corned beef, longganiza, and well done sunny side up egg. The activities will start at around 8:30 a.m. this time right on the beach. We recapped what happened the day before then we processed the last activity we did and one of the groups showed how a seemingly impossible thing can be done. The second part of the team building program was a simulation of how one team manages their resources to achieve a common goal. The goal given to them as one team was to create a life-size sand art, one that is commonly seen in photos of people visiting Boracay Island in the western part of the Visayas. They accomplished the feat in a little over two (2) hours. 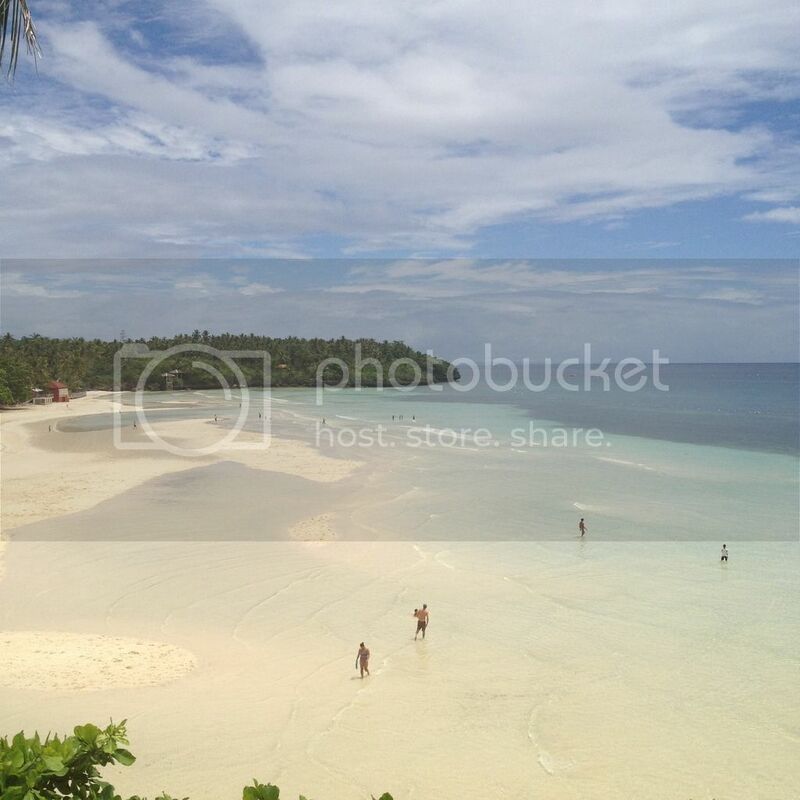 White Beach is the most common place that tourists go to in Camotes. Despite that, it is still not very crowded. The tidal flat stretches really far from the beach so those who wish to swim will have to go farther out into the sea during low tide. I woke up early on 29 February and went down the beach for a stroll. A number of people were also on the beach early that morning. I witnessed a beautiful sunset, saw some crabs freely roaming around the beach, saw some fishermen come to shore with their catch, and watched divers leave early for their adventure. I felt the sand with my hands and saw how fine it was. Some of my footprints marked the areas I walked on where the sand was wet. I forgot to bring slippers for this trip so I walked barefoot and loved how it felt. I saw some tents at the beach. People probably spent the night in those tents. I read somewhere there's a place in the vicinity that rents out tents. There's actually not too much to do at White Beach except enjoy nature as it is. There's a dive shop, some jetskis, and a banana boat. And that's just about it. The NPax employees enjoyed an hour of fun alternating on the banana boat ride while the others had a few beers at Pito's Sutukil. Except for three (3) of their employees, NPax Cebu Corporation employees extended their team bonding experience by doing a tour of Camotes. 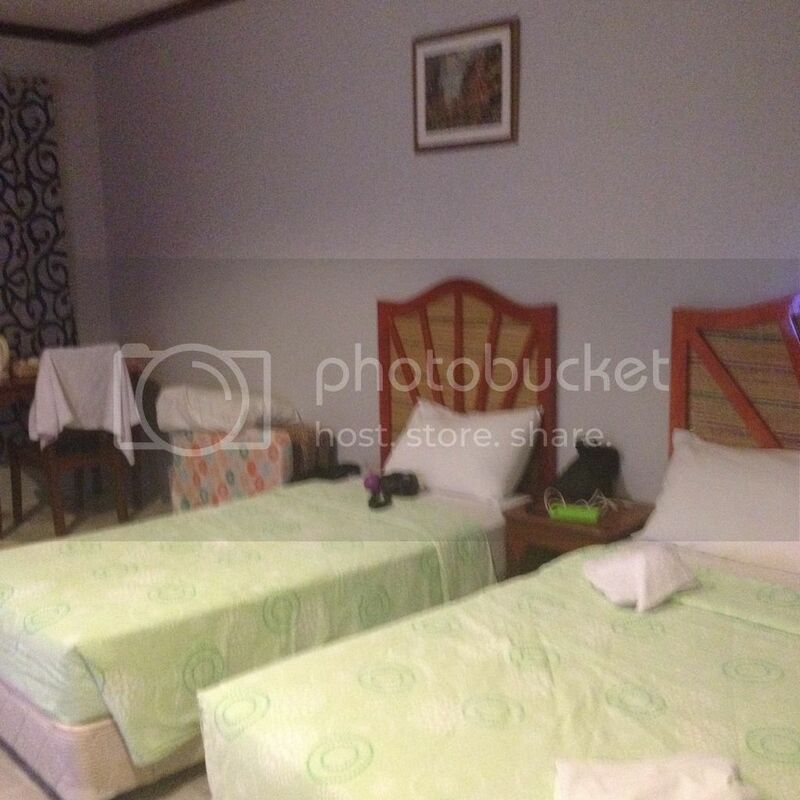 I would have wanted to go but I had a 10 p.m. boat trip to catch in Cebu City as I was to meet up with the #CBCTravelNation bloggers in Tagbilaran City for the Seas The Day Bohol Tour arranged through the Empty Nest Vacation Home. 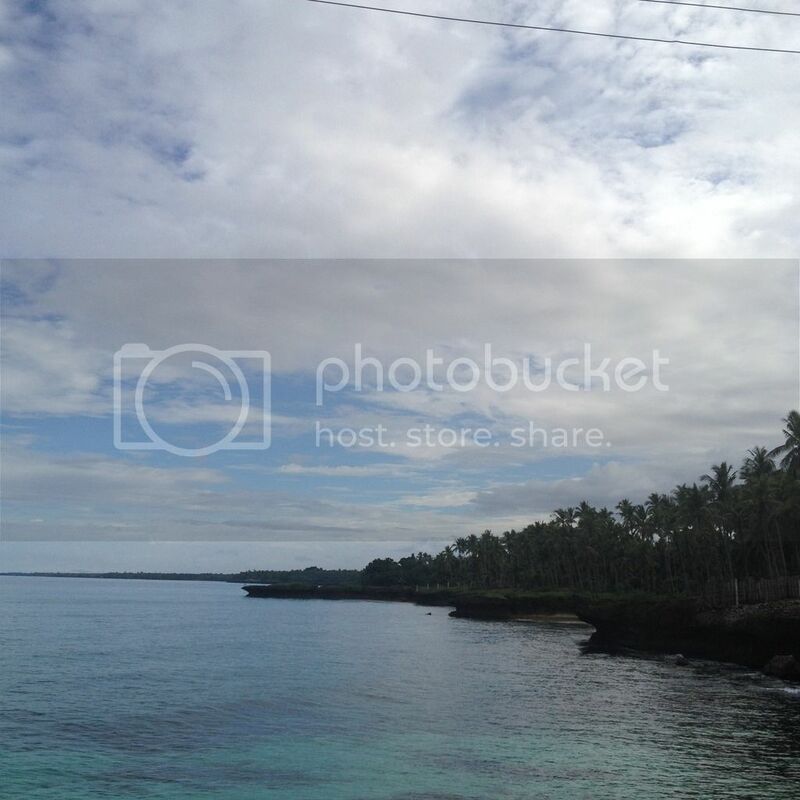 I missed going to Lake Danao, Timubo Cave, the Boho Rock, and a lot of other places in Camotes. 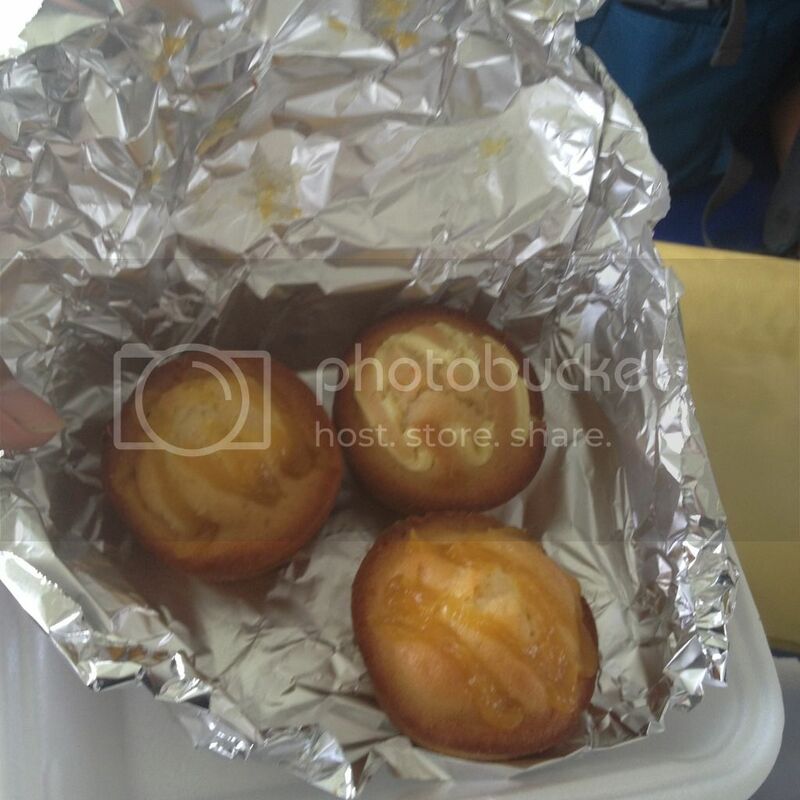 Prior to leaving, I ordered some muffins at Café Aroma inside the passenger terminal at Consuelo Port. The muffins came in chocolate, vanilla, and mango flavors. I would have wanted to order some pizza too but they cancelled it as the boat was just about to leave when I placed my order. 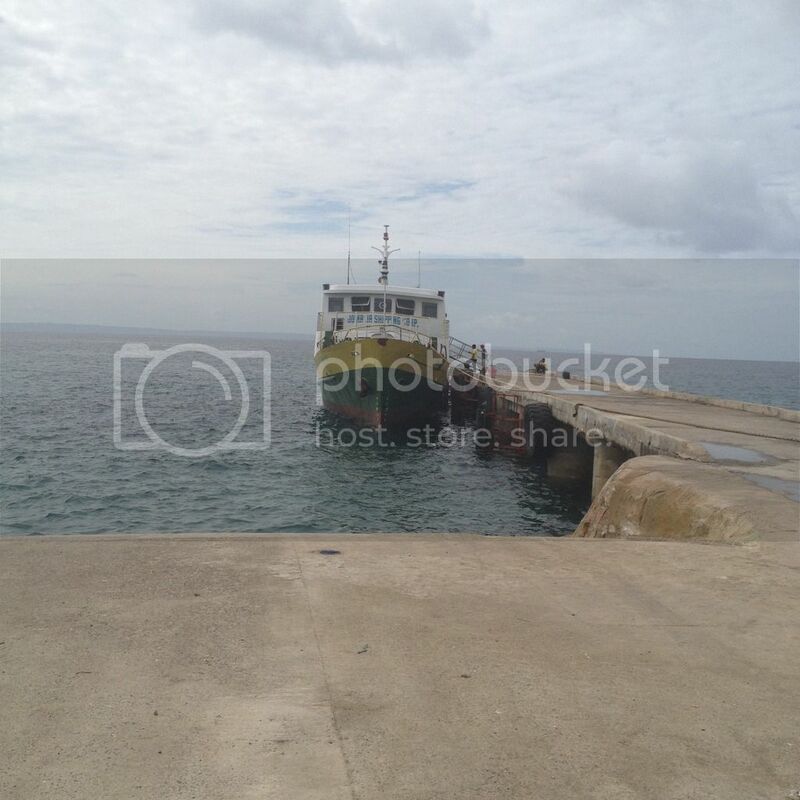 We took the 2:30 p.m. ferry for our return trip to Cebu mainland. Along with Leslie, I travelled with three (3) of the NPax employees who did not join the tour of the Camotes islands. We boarded the ferry at Consuelo Port and docked at the Danao City Port. Dolphins again showed up playing in the wild and applauded by passengers and crew. This happened thirty (30) minutes after we left Consuelo Port. From the Danao City Port, we walked to the Danao City public utility vehicles terminal at the back of Gaisano Danao. From their, Leslie took the jeepney route number 27. She was to disembark at Lilo-an town. 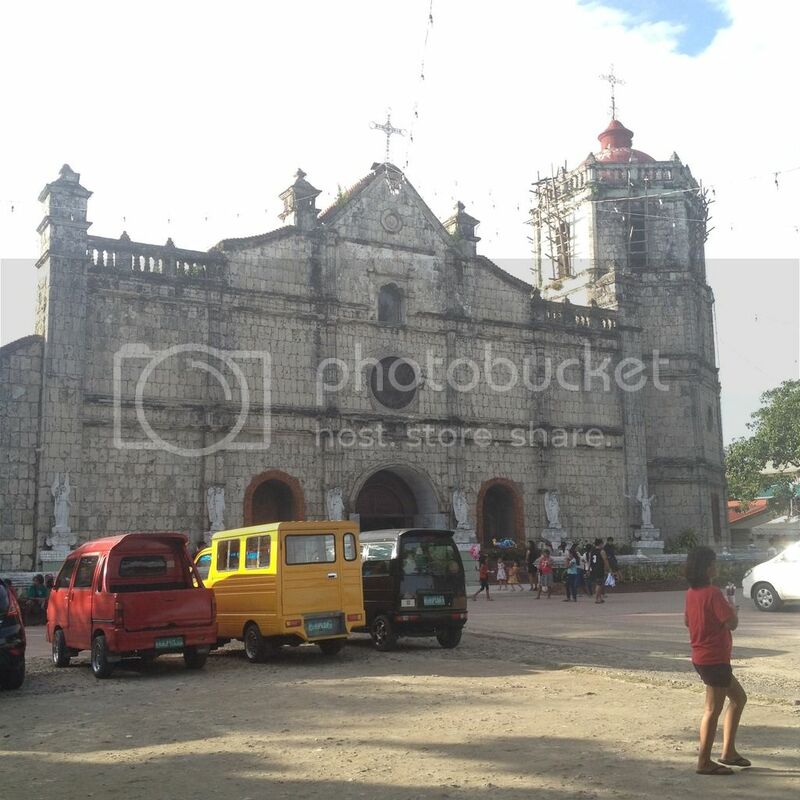 I took the GT Express van which will take me to SM City Cebu at the North Reclamation Area where I took a taxicab to Pier 1 just in time for my scheduled boat trip to Tagbilaran City, Bohol.